Coastal landscapes are highly sensitive to the water-related effects of climate change. It is important to investigate how water management can improve the resilience of landscapes. The SCAPE (Shaping Climate change Adaptive PlacEs’) project seeks solutions to this problem. VMM is co-responsible for an innovative redevelopment of the Zwin area. To make coastal areas resistant to the effects of climate change, it is important to search for solutions at European level with all partners involved. SCAPE seeks solutions to arm coastal areas against changes in our climate. Silting poses a serious threat to the tides and various renovations are intended to address this problem, for example in the Zwin area. 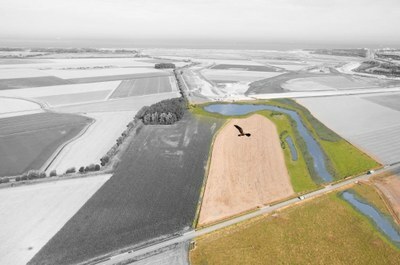 one LDD strategy for combining water management solutions. one LDD method for providing partners and target groups with guidelines. six pilot actions to promote the use of landscape policy in various coastal landscapes. International cooperation facilitates the creation of solutions to common problems. The SCAPE project is funded under INTERREG 2 Seas, a European programme that promotes cooperation among regions from different countries.